A Bitbucket push method for our integration is something we’ve all been expecting for years. Up until recently, the Bitbucket API did not support this method, unlike GitHub and GitLab. But, thanks to many Bitbucket users asking for it, your preferred code hosting platform has finally added this feature! Upon hearing the news, we’ve immediately made it our main priority to update the Bitbucket integration. 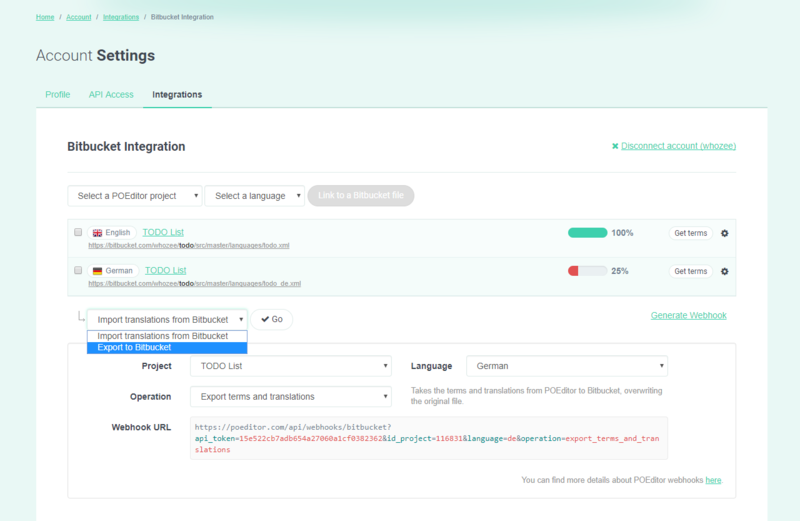 So, now, we’re happy to announce that you can export translations from your POEditor localization projects to your repos with just a few clicks. We’ve also updated the Webhooks generator to reflect the implementation of the commit. If you’re new to the Bitbucket integration, you can learn how to set it up here. 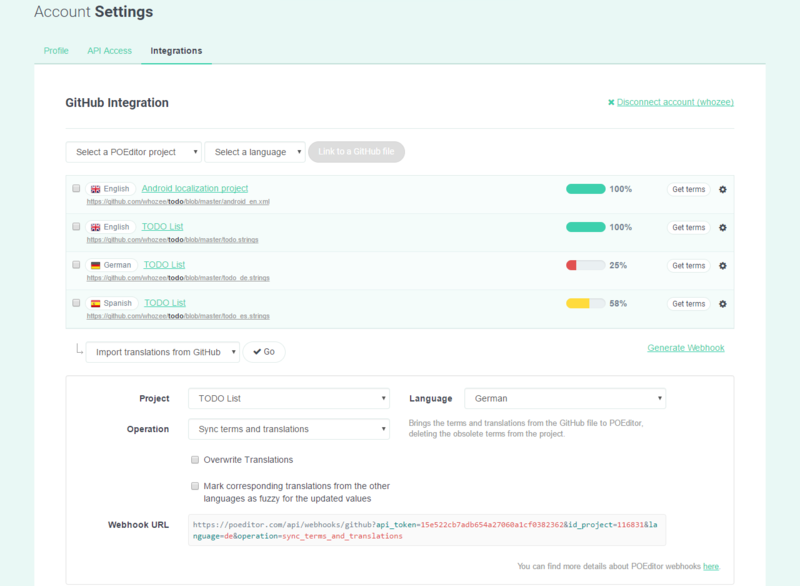 More information about how to manage localization files between POEditor and Bitbucket is available here. Cheers to all of you who took the time to push for this change! Don’t be shy to let us know if you have any feedback.